Designer Paul Ketz has created a fun and unexpected design for a wardrobe. MOGLI uses willow branches, left in their natural form, to create the sides of the furniture piece. 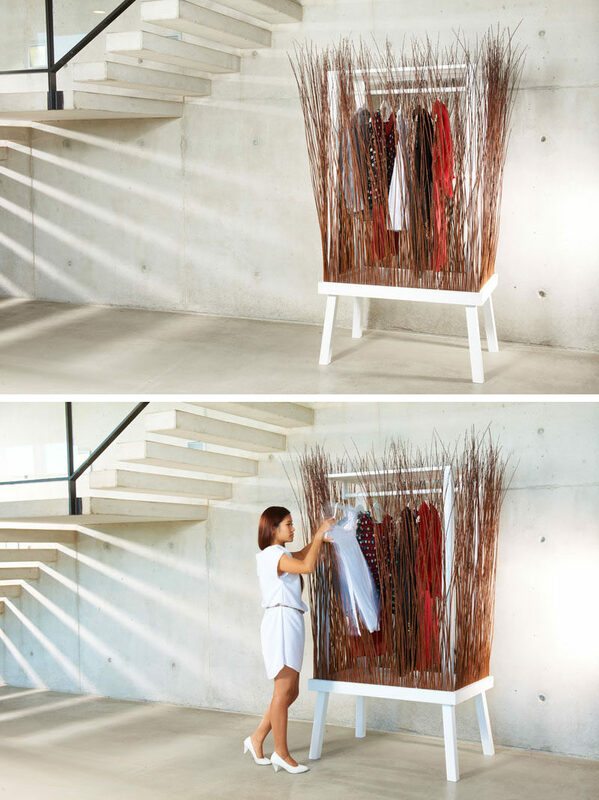 The willow branches can be easily parted to give access to the clothes stored within. 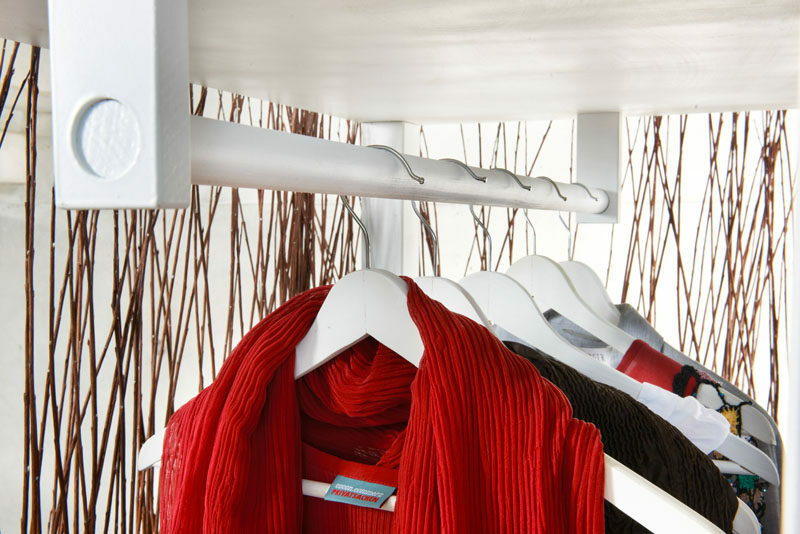 Inside, there’s a single rod for hanging clothes. A unique feature of the wardrobe is that the panels of willow can be removed and placed outside in the rain. This allows the willow to absorb the water and remain flexible. Given enough time, the willow branches may even bloom.